SKU: 6810816 Categories: Face Care, Lip Balms, Quick add ons. 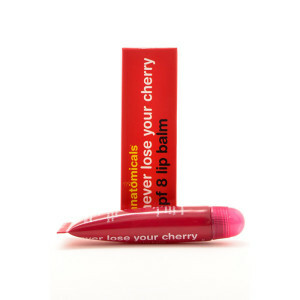 Tags: €5 & under, anatomicals, chapped lips, cherry lip balm, cracked lips, lip balm, never lose your cherry, sore lips, spf lip balm. It’s no good in keeping your legs (sorry, fingers) crossed that the elements won’t have their wicked way with you. they’re only after one thing: stripping your lips of all items of clothing (sorry, softness). 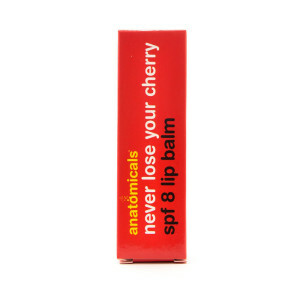 keep them at bay with this cherry spf 15 balm and if they won’t stop bothering you, kick them in the isobars.